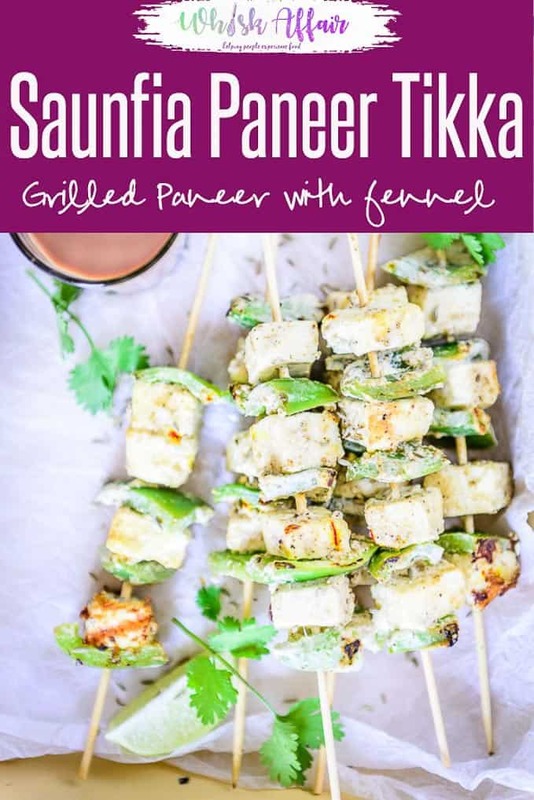 Here is how to make Easy Saunfia Paneer Tikka Recipe, a delicious easy to make Indian snack or appetizer flavoured with fennel seeds. If there is one dish that I wouldn’t mind having at any time of the day and anywhere, it would be made of Paneer. It can be easily mixed with other ingredients and it quickly captures their flavours. It can be used to prepare a variety of dishes like Lasooni Methi Paneer or Shahi Paneer. Its soft texture just melts in the mouth. Not just that, Paneer is also a rich source of protein. Every 100 g of paneer contains 18g of protein. One of the best ways to have paneer is to prepare Paneer Tikka. 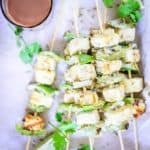 Here is how to make Easy Saunfia Paneer Tikka Recipe which is essentially Paneer Tikka marinated in Saunf (Fennel) and other spices. To cook this Paneer Tikkas recipe, paneer cubes are marinated with lots of fennel powder, yogurt, ginger and garlic paste and saffron. Not many Masala are added to this tikka recipe. 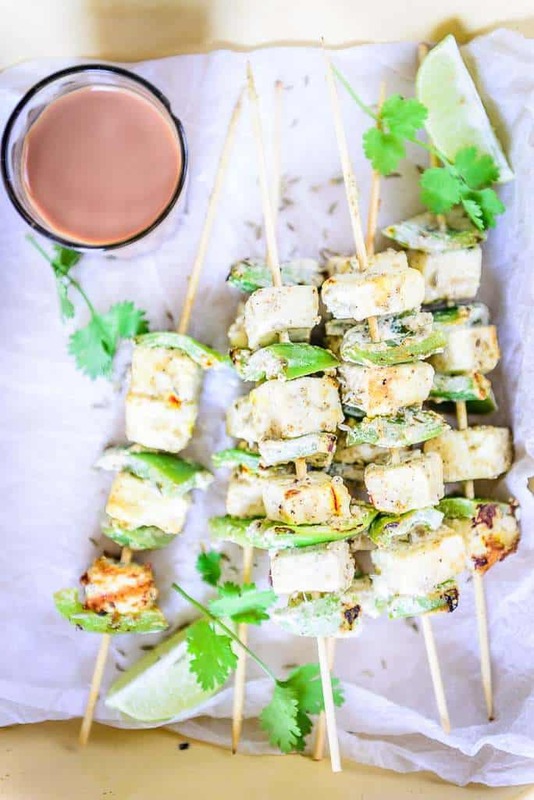 The batter or marinade coated paneer cubes are then grilled until they are nicely browned and in just a few minutes, you have a delicious snack ready. It is flavourful, filling and can make for a perfect starter. The recipe is so easy to prepare that you will find yourself making it quite often. Also try these exciting recipes of Achari Paneer Tikka, Hara Bhara Kabab and Mango Mint Paneer Tikka. Here is How to make Easy Saunfia Paneer Tikka Recipe. Cut panner and capsicum into cubes. Mix all the remaining ingredients except butter in a bowl. Add paneer and capsicum in the bowl and mix well to coat them nicely with the marinade. Thread the paneer and capsicum pieces on wooden skewers. Grill on a grill pan until nicely browned on all the sides.